Tragedy struck during the Red Devils' Europa League encounter as Anderlecht as the football fans were electrocuted at Nyagasang, Calabar. The Red Devils will march out in an unusual outfit on Sunday as they pay respect to fans who died while watching their Europa League match. They had gathered at the popular viewing centre when a transformer nearby exploded twice – with a high tension wire dropping on the structure built with zinc. However, the club has announced that against the Swans, Jose Mourinho's men will wear black armbands to pay tribute to the victims of the tragedy. 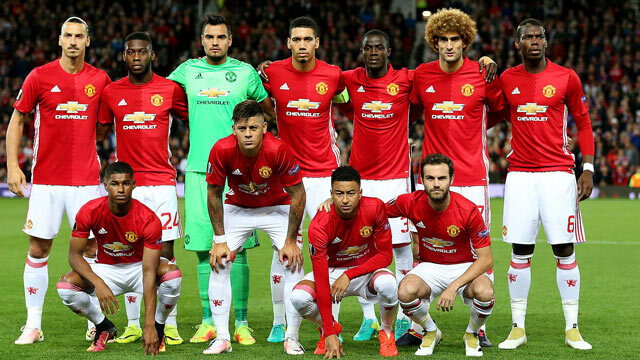 ''The #MUFC players will wear black armbands on Sunday in memory of the seven fans who lost their lives recently in Calabar, Nigeria,'' the club tweeted. United who played a 0-0 draw against Manchester City on Wednesday need a win against Paul Clement's men to boost their chances of qualifying for next season's Uefa Champions League. They are fifth on the log with 64 points after 33 games. Swansea are in the relegation zone with 31 points after 34 outings.